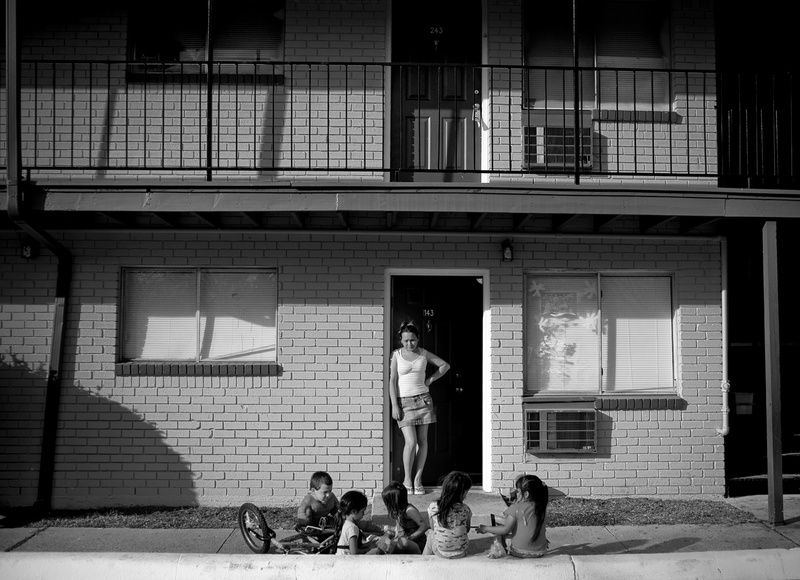 (Irving, TX - 02.07.2009) --Diana Guel, 24, stands overlooking her 14-month-old daughter, Jennifer Martinez, and neighborhood children, at the doorway of her apartment, in Irving, TX, on Saturday, February 7, 2009. Guel migrated to the U.S. three years ago from the Mexican city of San Luis Potosi. She, like many young women whom migrated to Irving, works as a cleaning woman for businesses in the city.